America's open air museum. From Wears Valley Road turn onto Lyon Springs Road and follow that directly into Great Smoky Mountains National Park (4.4 miles). 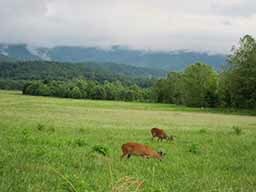 At Metcalf Bottoms turn right onto Little River Road and drive approximately 20.3 miles into Cades Cove. 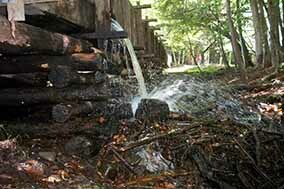 Along the way you will pass The Sinks, a highly popular spots with scenic views and a hiking trail. This is a very picturesque spot for photographers. Further down the road you will see waterfalls and maybe some kayakers and river tubing. As you enter Cades Cove, an 11-mile drive through some of our country's most beautiful valleys and vistas, you will see horses grazing in the pasture and probably quite a number of wild turkey. 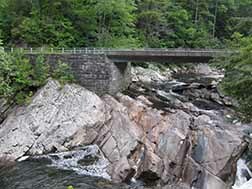 Throughout the Cove, you will see many historic structures, including homesteads, a grist mill, cantilever barns, and rivers. Often, visitors come across black bears, an occasional coyote, red fox, and sometimes a wild boar. Expect to spend approximately 2 hours or more in the Cove, depending on the flow of traffic.